Many of us go through the day feeling like we don't have time for God. 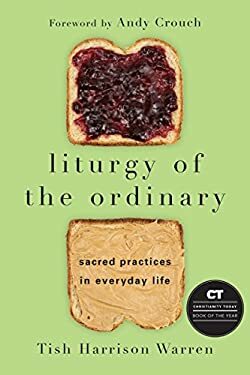 But God can become present to us in surprising ways through our everyday routines.Framed around one ordinary day, this book explores daily life through the lens of liturgy, small practices and habits that form us. Each chapter looks at something--making the bed, brushing her teeth, losing her keys--that the author does in the day. Drawing from the diversity of her life as a campus minister, Anglican priest, friend, wife, and mother, Tish Harrison Warren opens up a practical theology of the everyday. Each activity is related to a spiritual practice as well as an aspect of our Sunday worship. Come and discover the holiness of your every day. New (124 available) BRAND NEW. Over 1.5 million happy customers. 100% money-back guarantee. Make your purchase count: support Better World Books' worldwide literacy partners.